Apply now to work on a sustainable farm in Nevada County, CA, and join a cohort of emerging farmers for bi-monthly, advanced Ag Skills classes taught in the field by experts and successful farmers. 1 year of real farming experience required for job placement. 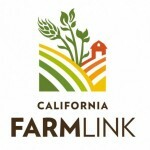 Qualified Farm Crew job applicants are passed on to local farms for hiring for the 2019 season with hourly wage ($11/hour and up) and work schedules determined by individual farms. With support from Sierra Harvest staff and feedback from host-farms, Farm Crew students set On-Farm Learning Objectives and track progress throughout the season. There are many learning opportunities on a farm and we want to ensure that students are able to focus on distinct areas of their choice. 5) Committed to independent learning. 6) A tuition fee (with payment plan) of $900 for the program includes placement into a paid farm job, participation in the 15-class Ag production skills class, mentorship throughout the season and regular meetings to assess the season and set learning goals. 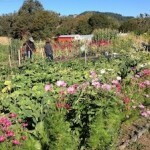 15, 3-hour classes focusing on various aspects of sustainable farming methods taught by experienced local farmer owners. Guidance and support to set and track on-farm learning objectives. Exposure to a diversity of local farms and the opportunity to learn directly from the farmers themselves. Have fun and network at Ag related social & community events. You must be logged in to post a comment. Log in or Join FarmsReach. Log in to share a question or comment. Registering is free and easy! If you are promoting your company's products or services, you may ONLY post in Classifieds: Product & Service Promotions. Posts in other areas will be removed. All: To specify which types of posts in Conversations and Classifieds to get email notifications about, please update your Settings. Speak your mind! Just make sure it applies to our community of production farmers. Chime in! Don't be shy. Everyone benefits from more sharing. Invite other opinions. There's more than one way of doing things. There's no such thing as a dumb question. Someone is probably wondering the same thing. Keep on topic. Remember, no pushing your products or services except in Classifieds or the Source Directory. If you see something inappropriate or not for production farmers, speak up or contact us. These groups are talking about this topic too. Before suggesting a new category, first check out the existing By Category page. If we missed something, let us know below!